The 27-page document addresses the roles that mental health administrators at the county level can play in promoting community inclusion, with an emphasis on policy development, establishing funding priorities, encouraging system-wide and staff training, and evaluating outcomes. 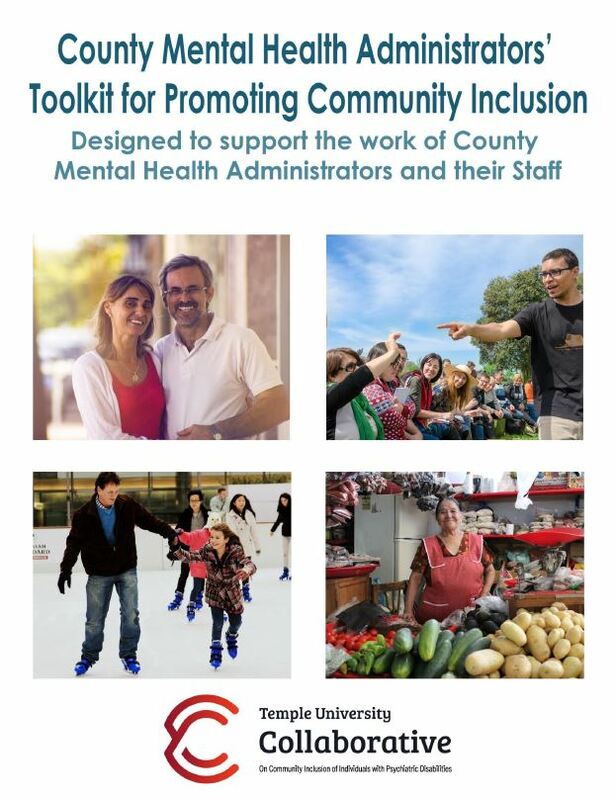 The document briefly reviews each of the key functions of county mental health executives and discusses the ways in which each of these can be used to broaden the understanding, implementation, evaluation, and funding of community inclusion initiatives. Authored by two leading county mental health executives from Pennsylvania’s Montgomery County, the document draws on the experiences of county mental health decision makers from across the country. A useful Appendix to the toolkit provides additional resources, checklists, and references.